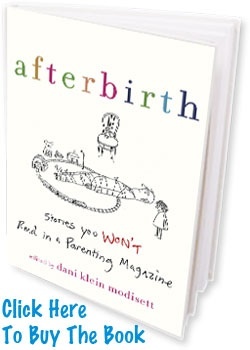 Dani Klein Modisett is the creator/producer of the live show “Afterbirth,” which has been running in Los Angeles for eight years and also runs in New York, Boston, and Washington DC. She is also an actress and a comic. She lives in Los Angeles with her husband and two sons.